social media revolution – How Do You Do Marketing in Today’s Digital World? How Much Do Social Scores Matter To You Today? Not that I am getting obsessed with my Klout score after I read Mark Schaefer’s new book Return On Influence (Affiliate link) but I thought to do some more research through my Google reader. I wanted to know who else in the blogosphere is talking about social scores. For all the faults, social scoring systems represent a targeted, high-potential, and relatively low-cost way to create buzz about products, services, and brands through powerful niche influencer. That is revolutionary. Many other bloggers write these days about social profiling too. What is your experience with social scores? 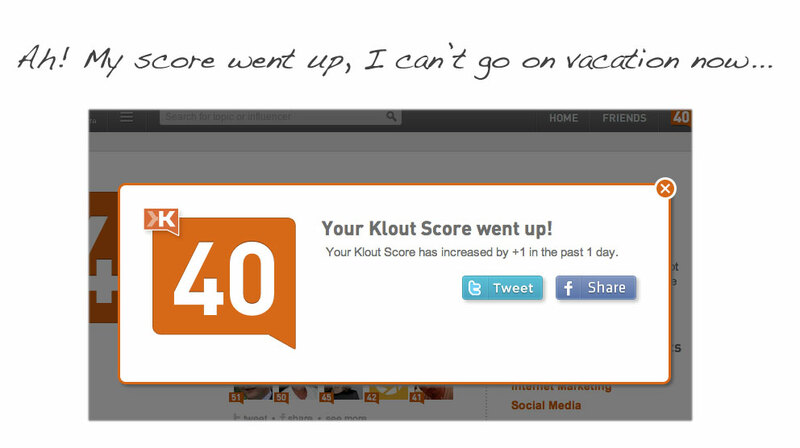 Are you getting obsessed with your Klout score? Do you think a higher social scoring is going to get you a better job? I am very curious to know. Below you find must reads about the topic and if you haven’t taken it serious by now you certainly will after reading. Please leave a comment if you have a great link to share which talks about social influence. Doing some research on the web regarding Online Video Marketing I came across Gideon Shalwick’s Website. He masters Online Video Marketing techniques and it’s worth listening. The book is an excellent read and provides practical insights and tips for everyone. Erik provides case studies on how companies have to incorporate social media into their business strategy and how to use it to their advantages. Socialnomics is definitely not a fad but a new way of life. Obama’s success driven by social media. Winners and Losers in a 140-Character World. Next Steps for Companies and The “Glass House Generation”. Today consumers pay less attention to above the line mediums. They prefer to listen to their neighbors what they have to say about products and services. We no longer have to search for the news – It finds us. Search Engines are recognizing the social media shift and try to make their offerings more social. Businesses can follow what is being said about them or their industry. I also would like to empathize that Erik speaks about “The next generation can’t speak”. Fact is that the desire and ability to meet new people has rapidly eroded so much that humans fear public speaking. I like to see that Erik mentions the downsides of not having as much face to face interactions as we used to have. It’s a challenge we have to face today and in the future. 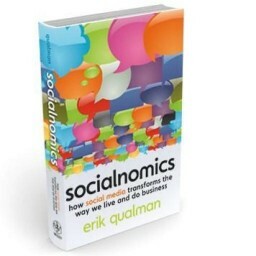 I follow Erik Qualman on Twitter http://www.twitter.com/equalman and recommend his book socialnomics.